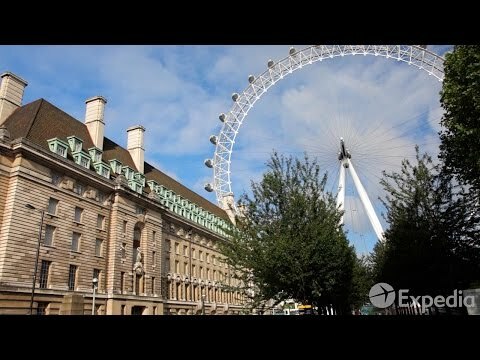 Step into your spaceship-style capsule on London's most popular attraction, the London Eye, and go for a spin (OK fine it's a 'slow rotation') high in the sky! Sip on a glass of chilled champagne and see London's best buildings, plus the 4D Cinema and Lounge. The London Eye attracts more visitors each year than the Taj Mahal and the Great Pyramids of Giza! It might be colder and windier than those at times, but it’s definitely a highlight of any trip to London! Fast-track your way to the front of the line with this speedy smartphone ticket, a brilliant bonus in high season when queues can be looooong. Opt for the Champagne Experience and enjoy priority boarding and a glass of chilled Pommery Brut Royal Champagne as you go around - only the best for you. Before stepping into your capsule, check out the live-action film and amazing aerial photography in the 4D Cinema - the perfect prelude to your ride! From high in the sky you’ll get spectacular views of the city, from Westminster Abbey to the Tower of London, the winding Thames, St. Paul's Cathedral and good old Big Ben. Want more snaps? The Eye Lounge at the foot of the London Eye overlooks the River Thames.